Ok, I know the tile is cheesy, but I couldn’t resist. Isn’t this bowl amazing? 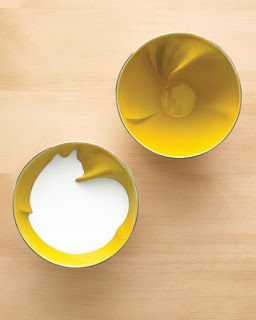 Love ‘em or hate ‘em this bowl would be perfect for the kitty in your life or if you’re a cat hater, it would still make for one very cool cereal bowl!Geraldine de Beco dreamed up the design for Bernardaud, a super fancy French porcelain manufacturer. So fancy that one of these sweet little milk dishes will cost you $189 (second thought…no animal should be eating out of a $189 bowl, that’s just nuts). Eek! Wolf and bird bowls are also available. Marbled Jewel Cups DIY: Lace Bowl Moooi Lighting. I Started a Tumblr! This entry was posted in Art, Design, Home, Randoms, Uncategorized and tagged Ceramics.